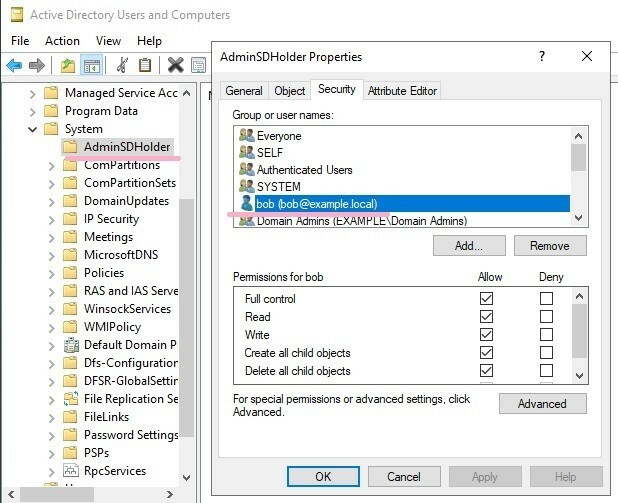 Grant the access right of "AdminSDHolder" to Bob account, using DCshadow. 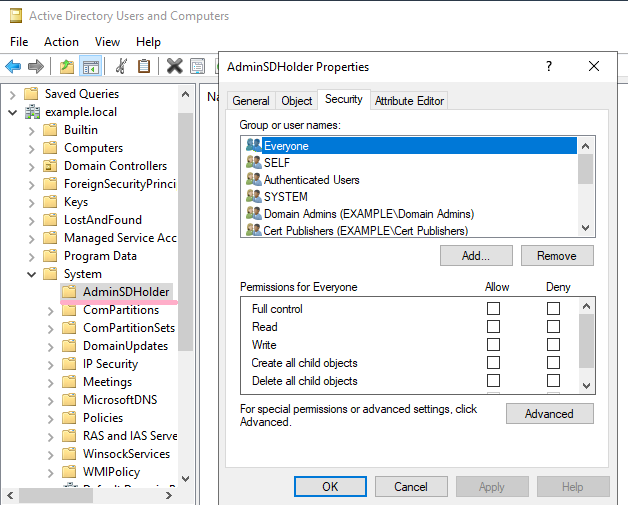 The nTSecurityDescriptor of "AdminSDHolder" is recorded in the ADTimeline. 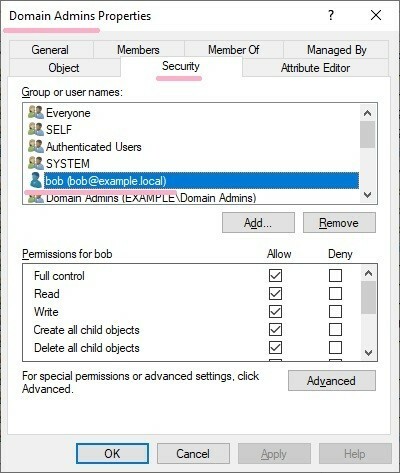 The process of SDProp updates the access rights such as "Domain Admins" etc...These ACLs will now include Bob accounts. I will Check the ADTimeline of the case where changed the ACL of AdminSDHolder with DCshadow. 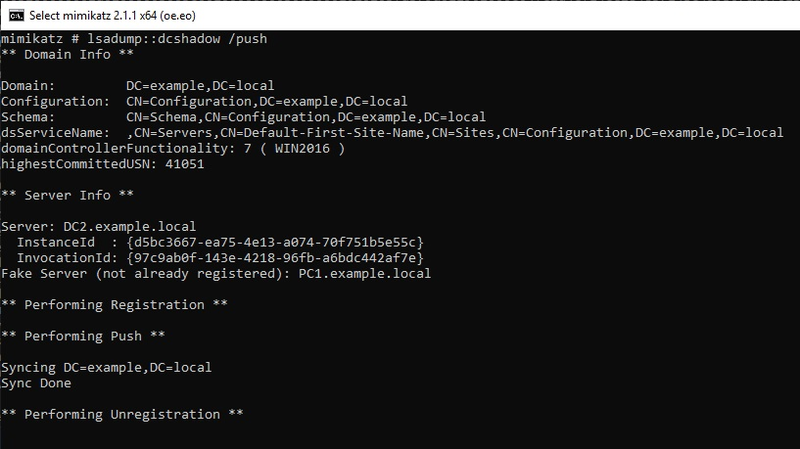 DCshadow was executed with reference to the following URL. Run DCshadow and grant access to Bob account. You can confirm that the access right of the Bob account has been added. Check the ADTimeline. 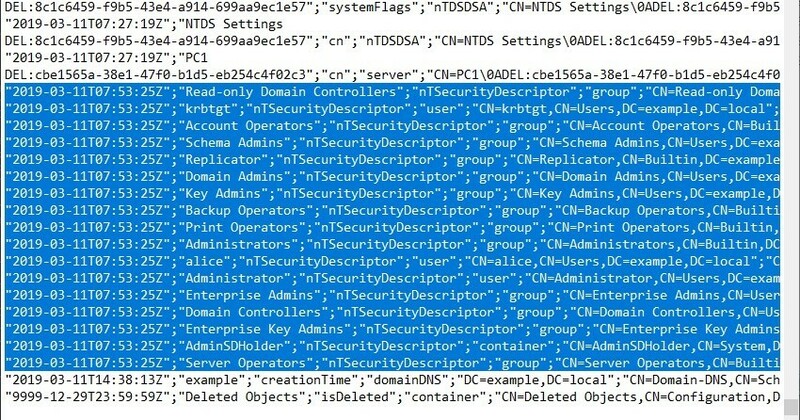 NT-Security-Descriptor attribute changes and "dwVersion" value is "2". 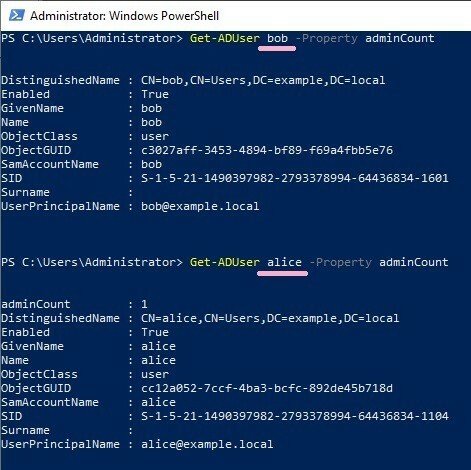 "ADobjects.xml" file contains detailed information of AdminSDHolder. I can check the ACL added to Bob account. 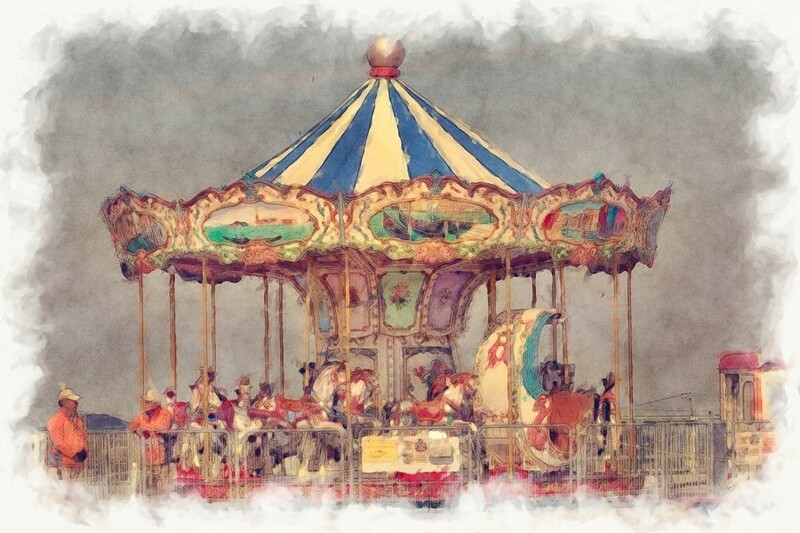 Wait for execution of SDProp processing. I can check the records related to ACL change of AdminSDHolder on the ADTimeline. I checked the status of adminCount in Bob account. the "adminCount" value of the Bob account is not set.